Reuters Sat December 27, 2003 08:29 PM ET Afghan Islam debate muted but concessions a concern By Mike Collett-White KABUL (Reuters) - The sensitive issue of Islam, and strict sharia law imposed by the ousted Taliban, has barely surfaced during two weeks of debate over Afghanistan's constitution that is reaching its closing stages. But as the interim leader bids to win delegates over to his vision of a strong presidential system that will weaken opponents, observers are wondering what concessions his supporters have had to make, including in the area of religion. Conservative Islamic leaders, many of them former "mujahideen" or holy warriors who defeated the Soviets with U.S. backing in the 1980s, have been busy jockeying for power at the expense of Washington's favourite, President Hamid Karzai. "Rather than viewing the passage of the draft as a sign of Karzai's strength, you should look at the compromises that have to be made to the draft," said Vikram Parekh, analyst on Afghanistan for the International Crisis Group think-tank. A Western observer closely tracking the constitutional Loya Jirga, or Grand Assembly, in a giant white tent on the edge of Kabul, said Karzai's opponents could have won a greater say over the appointment of judges to the Supreme Court. As a result, conservative clerics may win more control over the implementation of the law. That, and the vague wording of religious articles in the draft constitution, mean the real tussle over the role of Islam in post- Taliban Afghanistan will come later. "The draft is very general (on Islam) and leaves a lot of room for interpretation and that concerns us," said the Western observer. CONTROL OF COURTS CRUCIAL The Supreme Court is run by conservative Islamists who this year arrested journalists for offending Islam and closed down their publication, called for the trial of members of the former communist regime and tried to ban cable television in Kabul. Their view of Islam and Afghanistan's future is radically different from that of the moderate Karzai, widely tipped to win next year's presidential elections if he runs as expected.�� "Clearly the concessions most worrisome for the West and for Afghan modernists would be those on the judiciary and the Islamic system," said Ahmed Rashid, a Pakistan-based Afghan expert. "It matters because all the constitutional articles can be referred to the courts, and interpretation of these articles will depend on the judiciary. If you have a conservative judiciary you will have a conservative interpretation." The Supreme Court has had little direct impact on the lives of ordinary Afghans so far, with political pressure helping to curb its more radical initiatives. "The question will be 'What happens when challenges are brought before the Supreme Court? '," said Parekh. "As the court becomes more functional, and if it becomes an institution that people appeal to, then we will see its impact. "There is a fear of giving the court too much power of interpretation." 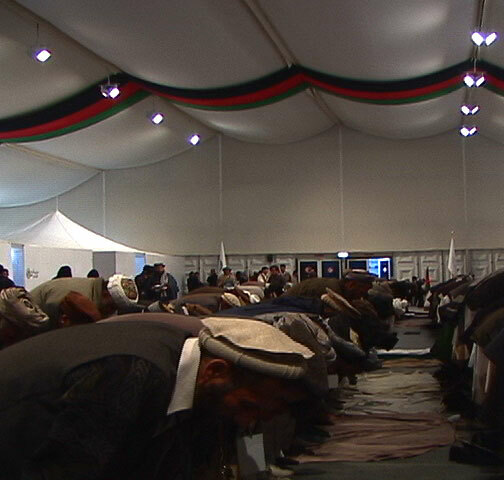 The draft constitution, expected to be finalised within days, states that "in Afghanistan, no law can be contrary to the sacred religion of Islam". It also speaks of a "progressive society", human rights and a "realisation of democracy". While many Afghans are concerned about lawlessness and violence since the fall of the Taliban, there seems little appetite in the deeply conservative Muslim country for a return to draconian sharia imposed by the regime. The Taliban carried out public amputations and executions, and the regime denied all females the right to education and most women the right to work.